Last year CBS Consumer Products reached out to fifty artists of varying backgrounds and media across ten countries and commissioned works for an art exhibition commemorating the 50th anniversary of the original Star Trek series. The result was featured at Michael J. Wolf Fine Arts gallery in San Diego’s gaslight district during San Diego Comic-Con this year, followed by a stint in Las Vegas for the annual Star Trek convention. It then heads to the Canadian National Exhibition in Toronto from mid-August to early September before heading to the England for the Destination Star Trek Europe convention in October and continuing its worldwide tour through August 2017. 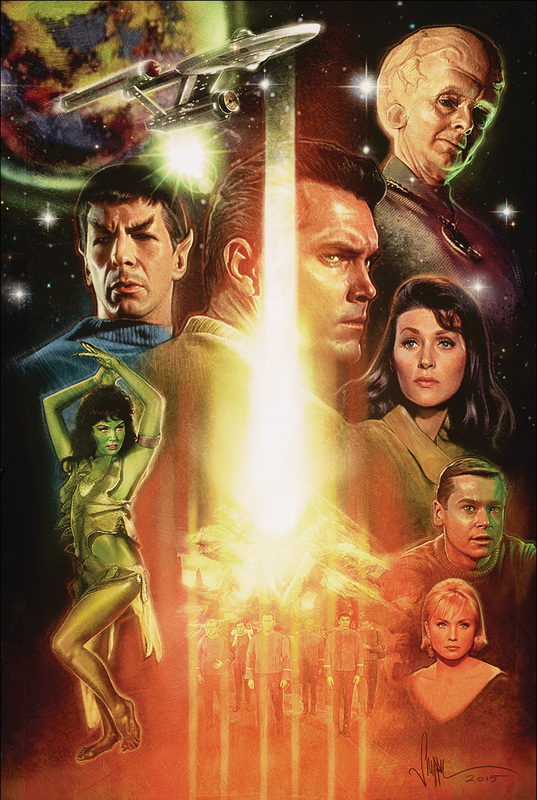 Next week Titan Books is releasing an oversized coffee table edition to accompany the exhibition, featuring all fifty artists and their Star Trek contribution. 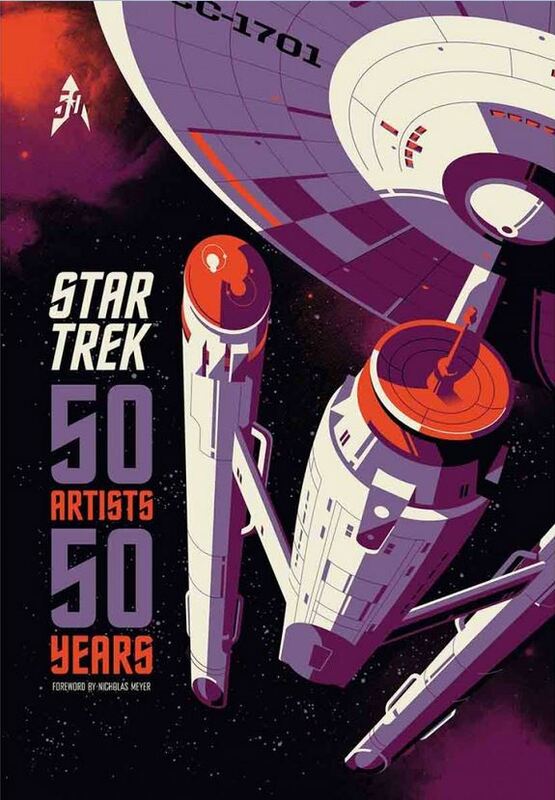 Similar in design to the successful Star Trek: The Art of Juan Ortiz, reviewed here at borg.com, Star Trek: 50 Artists/50 Years, is a colorful, beautifully illustrated guide for the Star Trek fan that appreciates artists interpreting the franchise. The hardcover exhibition catalog showcases some artists known for their Star Trek work and others who have never dabbled in the Trek universe before. Media used in these interpretations include paper, sculpture, metal, ceramics, and textiles, some hand-created and others via computer. The book includes a foreword by Star Trek film director Nicholas Meyer, and interviews with the artists. Not surprisingly, the work of successful comic book cover artists Joe Corroney and J.K. Woodward is featured, Corroney with two vibrant retro style posters, and Woodward with a painting showing key Klingons throughout all the Star Trek series and films. A photograph incorporating the Vulcan salute by Leonard Nimoy was also included in the show. As with any non-juried exhibition, a few works don’t quite seem to stir the senses as the others, but those that do are of high-quality and well-conceived. Comic book artist and animator Dusty Abell’s poster thoughtfully includes an element of each of the 79 original episodes if the original series. It would be no surprise to find Viennese children’s illustrator Amir Abou-Roumié’s whimsical look at Star Trek characters in a future San Francisco, titled “Homestead,” at the Met. Disney, Hasbro, and DreamWorks freelance artist Sue Beatrice’s metal sculpture “On the Edge of Forever” is an exquisitely detailed timepiece featuring the starship Enterprise. It’s not much but the first teaser for the next Star Trek television series could be telling. It features the new logo for the series, which doesn’t air until 2017, following the 50 year anniversary of the original 1960s series. It features familiar notes from the classic Star Trek theme, and a journey through the stars similar to the footage that accompanies the end credits to the J.J. Abrams movies. CBS presents a new adventure. New Crews. New Villains. New Heroes. New Worlds. The “New Worlds” shows an attempt to return to the series’ roots, the search for strange new worlds. But it’s the plurals that may be sharing some of what fans have been after. New Crews? So will this be a series of one-shot episodes? A series of multi-episode story arcs? An all-out anthology? The reboot Battlestar Galactica offered up a reasonably successful spin-off following another vessel’s exploits. Is that the kind of story the new producers are working on? Or will each season follow another strange new world and crew? The most lauded production in the Star Trek catalog is getting a facelift. 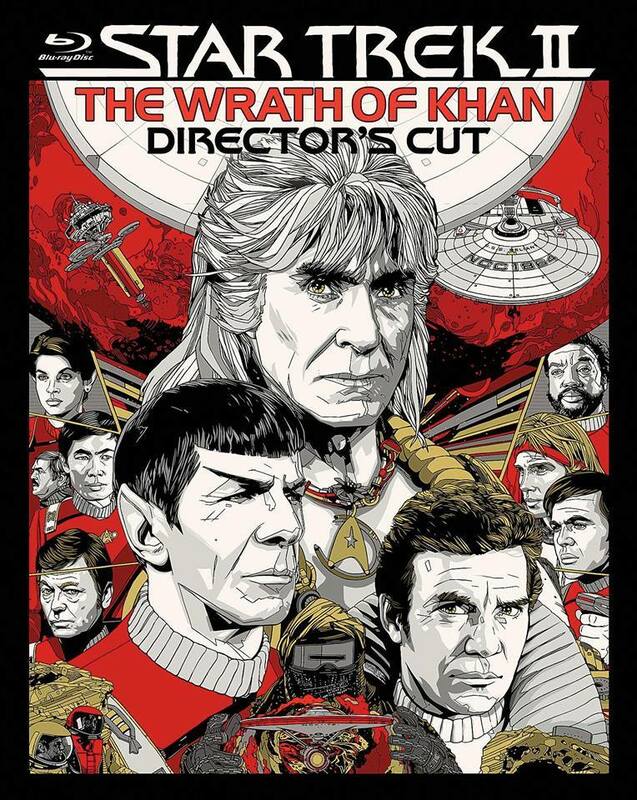 Coming this summer, Paramount is releasing Star Trek II: The Wrath of Khan in Nicholas Meyer’s popular director’s cut version for the first time in Blu-ray format. It’s one of several releases this year celebrating the 50th anniversary of the Star Trek franchise. 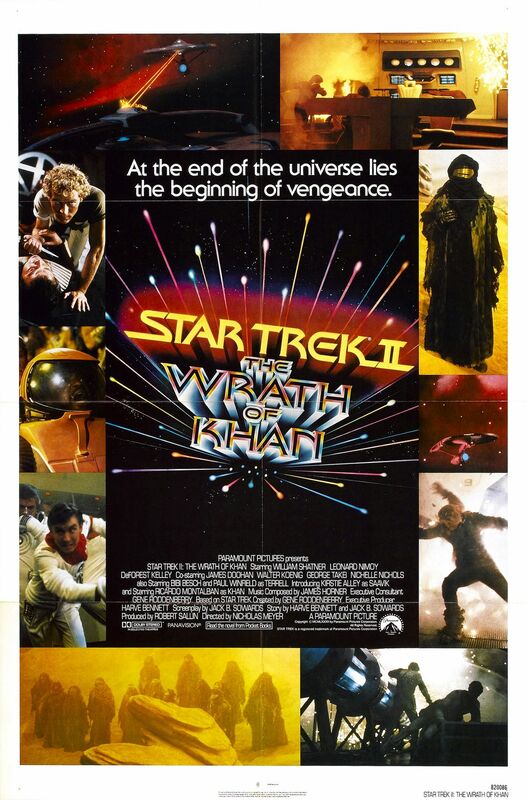 Long referred to as among the best science fiction films of all time, Wrath of Khan has been digitally remastered in high definition with a higher picture quality than available before. It will include both the Director’s Edition (previously only available on DVD) and the original theatrical version. The Blu-ray also includes a new, nearly 30-minute documentary entitled “The Genesis Effect: Engineering The Wrath of Khan,” which details the development and production of the film through archival footage, photos and new interviews. Two hours of previously released material fills out the disc set. Pre-order it now here from Amazon.com to get it when it is released June 7, 2016. Director Nicholas Meyer was recently tapped as chief writer for the next Star Trek TV series, coming in 2017. He also directed the other Star Trek film competing for “best of the best” cred, Star Trek VI: The Undiscovered Country. 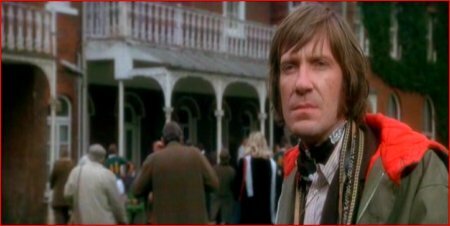 Few actors have had the opportunity to explore as many diverse characters as David Warner. As genre actor, Warner is frequently the choice for leading man villain roles, for his long face and ominous stature, but it is his powerful voice and slithery and sneering yet refined inflections that cause his words to echo years after you hear them. He’s played classic roles like Henry VI and Hamlet and King Lear and even Bob Cratchit, he played a villain in the big budget movie Titanic and yet also narrated a Winnie the Pooh movie. He’s performed opposite Vanessa Redgrave, Gregory Peck, Jason Robards, and Anthony Quinn, and also opposite Steve Martin and the Teenage Mutant Ninja Turtles. And since his debut in 1963 he has guest-starred in a variety of series ranging from Remington Steele and Hart to Hart to the Father Dowling Mysteries and Tales from the Crypt, to Murder She Wrote and The Outer Limits. In 50 years he has portrayed upwards of 200+ characters in as many productions. 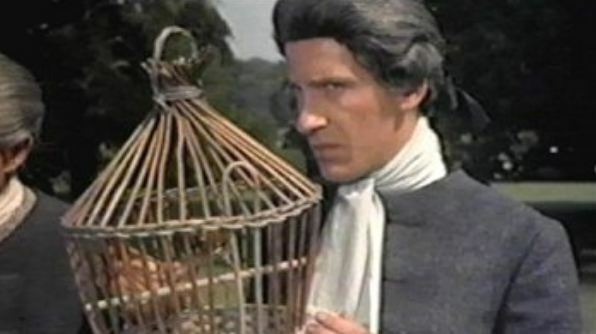 TOM JONES (1963). In David Warner’s screen debut he played the conniving Blifil, out to destroy the wily an dashing Tom, played by Albert Finney, and win over Tom’s love interest, played by Susannah York. From the very beginning we can see the kinds of roles Warner would be cast in. As an 18th century squire’s son, Warner performed according to period style and manner, yet subtley dastardly and ungentlemanly. THE OMEN (1976). Warner played Keith Jennings, an unfortunate photo-journalist who becomes one of Damien’s victims, one of many roles for Warner as part of the horror genre. TIME AFTER TIME (1979). In director Nicholas Meyer’s critically acclaimed re-imagining of H.G. Wells’ Time Machine, Warner plays gentleman John Leslie Stevenson opposite Malcolm McDowell’s author and inventor H.G. Wells. Or is he such a gentleman? As the most loathsome and recounted villain in history, Warner’s take on Jack the Ripper as 19th century murderer-turned-time traveller let loose in modern times is picture perfect. TIME BANDITS (1981). 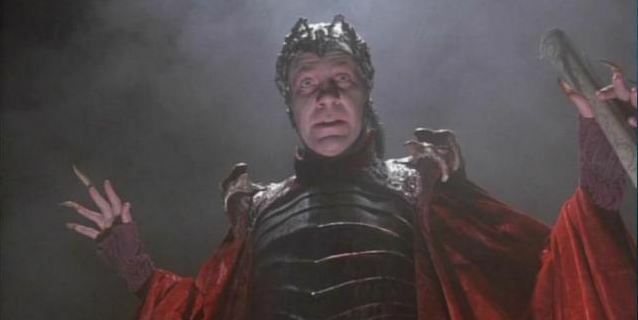 As the all powerful epitome of evil genius, the Evil Genius, in the silly Terry Gilliam film Time Bandits, Warner plays it completely straight, giving gravity to his performance and legitimacy to the entire film. TRON (1982). 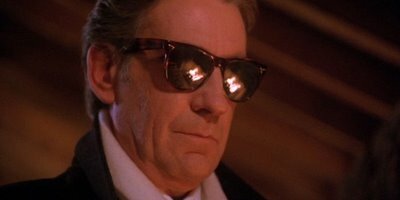 For a subset of kids who were 10 to 12 years old in 1982, David Warner’s Sark was every bit as cool a bad guy as Darth Vader. Warner played three roles in Tron, Ed Dillinger, executive of ENCOM, Sark, the red master of the soldiers in the computer world of The Grid, and the voice of Sark’s own master, the frightening and lifeless Master Control Program. Sark’s viciousness and lack of concern for anyone but himself was Warner at his best. STAR TREK V: THE FINAL FRONTIER (1989). In Warner’s first foray into the Star Trek universe Warner proved he could play not only high class evil but also a character who was outright smarmy. Hypnotized by Laurence Luckinbill’s mystic Vulcan Sybok, Warner’s St. John Talbot represents Starfleet stuck at the arse-end of the universe. TWIN PEAKS (1991 ). As the conniving Thomas Eckhardt, Warner managed to carve out a memorable role in the middle of the strangest band of characters ever to hit the TV screen. Although a lot of his character’s cunning occurred off-screen and in back story, onscreen Warner revealed a sinister affair with his former protegé, Josie Packard, including the assassination of his former business partner, Mister Packard. STAR TREK VI: THE UNDISCOVERED COUNTRY (1991). In another Nicholas Meyer film and Warner’s second Star Trek work, Warner is stunning as the Abraham Lincoln of the Klingon Empire. With a new Klingon regal look and flanked by fellow Shakespearean thespian Christopher Plummer as Chang, Warner’s Chancellor Gorkon by all appearances was a typical Klingon warrior, but at a dinner with the crew of the Enterprise we learned that a Klingon could upstage the would-be heroes of the Star Trek universe, making them look like a group of backwoods hicks. Acting against type, Warner’s martyred leader died trying to bring the Federation and Klingons together, and Warner’s sincerity made us care, and his characterization in turn flipped our view of the Federation upside down. STAR TREK: THE NEXT GENERATION (1992). 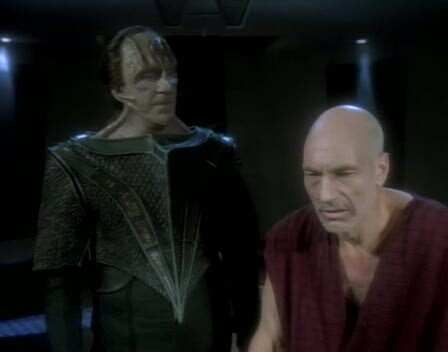 Returning to the drippingly sinister, pure evil of Warner’s performances as Jack the Ripper and Sark, Warner’s Cardassian interrogator Gul Madred was the only villain except The Borg to have bested Captain Jean-Luc Picard, in the two-part Next Generation episode “Chain of Command.” Gul Madred pulls no punches torturing Picard, even after his own people require Picard to be returned to Starfleet. I see three lights! LOIS & CLARK: THE NEW ADVENTURES OF SUPERMAN (1994). 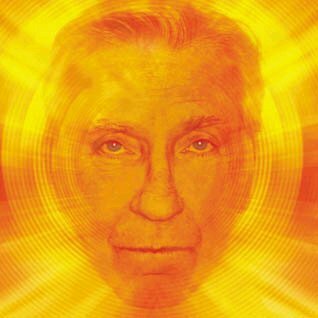 Proving that TV audiences would accept David Warner in the same league as Marlon Brando, Warner was able to play Jor-El, Superman’s noble father who was savvy and smart enough to save his son from his planet’s oblivion despite violating the rule of law of Krypton. BATMAN (Animated) (1992-1995). In the DC Comics animated universe, Warner voiced the smooth talking terrorist Ra’s Al Ghul for several episodes of the series, locking in his continual casting for genre voice roles. BABYLON 5 (1995). 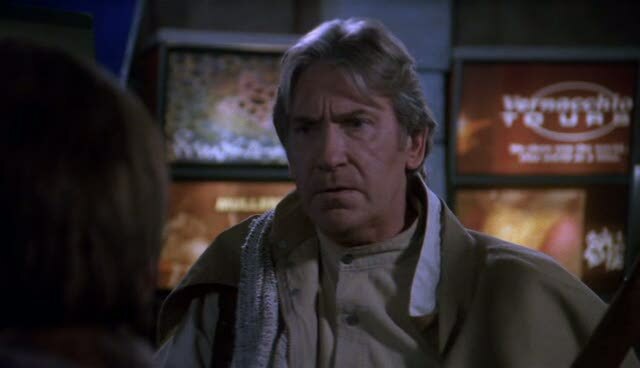 In Babylon 5, Warner portrayed Aldous Gajic, the brain wiping seeker of the Holy Grail who dies saving a younger character that he sees as a version of his former self. SPIDER-MAN (Animated) (1995-1997). Not one of his biggest roles for sure, Warner here was able to add the Marvel Comics franchise and one of Marvel’s greatest foes, Red Skull, to his list of accomplishments. MEN IN BLACK (Animated) (1997-1999). Here Warner played Alpha, a rogue Men in Black chief who had previously been Agent K’s friend and mentor. TOTAL RECALL (TV) (1999). As leading neurosurgeon Dr. Felix Latham, Latham works for Rekall and again Warner plays an assassinated character. Or was he a clone? STAR TREK: KLINGON ACADEMY (Video Game) (2000). The video game includes some surprisingly good new footage of Warner and Christopher Plummer reprising their roles as Gorkon and Chang. STAR WARS: FORCE COMMANDER (Video Game) (2000). It is easy to picture Warner as Grand General Brashin, a viperous Grand Moff Tarkin type in this video game from the Star Wars universe. HORATIO HORNBLOWER – MUTINY and RETRIBUTION (2001). 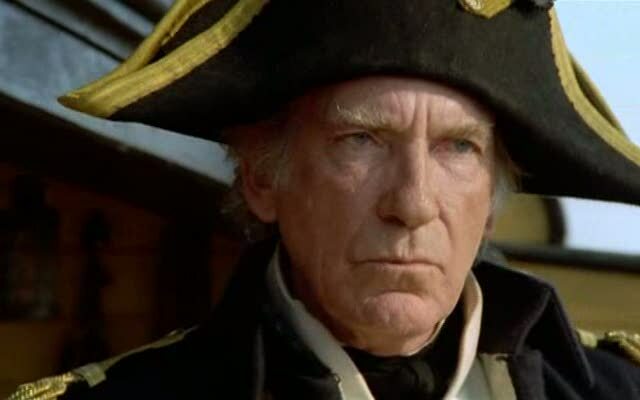 Returning to the costume adventure genre where Warner first got started, Warner played Captain James Sawyer in two installments of the brilliant and exciting Horatio Hornblower series from A&E. Sawyer was the vile and cruel taskmaster of the HMS Renown. PLANET OF THE APES (2001). As Helena Bonham Carter’s ape’s white-haired father Senator Sandar, Warner showed that he is nowhere near finished amassing sci-fi film franchises. DOCTOR WHO: UNBOUND (Audio) (2003 and 2008). Warner played the famous Doctor (an alternate Third Doctor, that is) opposite David Tennant, before Tennant was to play the 10th TV version of The Doctor, in the installment Sympathy for the Devil. 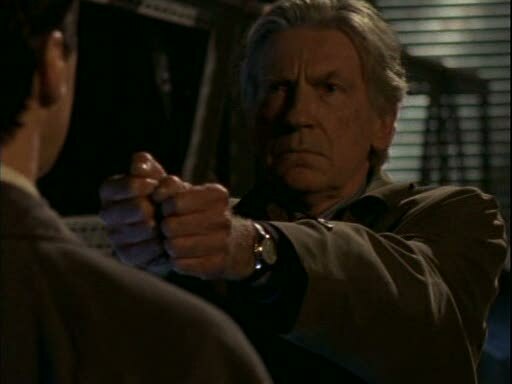 Warner reprised the role five years later in Masters of War. DOCTOR WHO: DREAMLAND (Animated) (2009). Warner played in the world of Doctor Who yet again as Lord Azlok, Lord Knight of the Imperial Viperox War Horde in this animated production. And to wrap it up, at this link you will find a 10-minute feature involving Dillinger’s character from the original Tron, first appearing on the Tron: Legacy DVD release special features. It has been suggested that this is a bridge for Warner to reprise his role as Dillinger and Sark in the sequel to Tron: Legacy.